Last week we thanked IOpipe for supporting open source and explored some helpful serverless architectural patterns provided by AWS and others. This week, we figure out if serverless is really dead, meet some new serverless heroes, and share lots of great content and stories from the community. I already had quite a few things planned for 2019, and this just makes me want to do more to help the serverless community learn and grow. So what do we do now that the term “serverless” is being applied everywhere to everything? We could try to ignore it, or as Chris said, “we should instead be focusing on what we’re seeing to be the new way of doing modern application development.” This is an important point. While confusion is sure to abound, and perhaps have a short term impact on adoption, eventually, “serverless” will just be the way to build applications in the cloud. In Paul Johnston’s most recent post, Cloud 2.0: Code is no longer King — Serverless has dethroned it, he argues that code is a liability. The evolution of the cloud will be in understanding what services to use and when, and perhaps more importantly, when not to write code. This allows teams to build faster and solve problems that actually impact customers, as opposed to unnecessary problems they bring on themselves. Serverless Framework v1.38 has been released, now with support for WebSockets. So that’s pretty cool. Last week, we mentioned that IOpipe was sponsoring my Lambda API and Lambda Warmer open source projects. This is actually part of their New Serverless Open Source Sponsorship Program, so look forward to more generous sponsorships in the future. Stackery just announced their new pricing plans, which includes a free developer tier. If you’d rather use a visual interface instead of going cross-eyed writing YAML files, give them a look. For those of you that love to get your Java on, Microsoft announced the general availability of Java support in Azure Functions. Even cooler, you can use the Azure Functions Maven plugin to create, build, and deploy your functions from any Maven-enabled project. ServerlessDays Boston is in 2 weeks! Tickets are only $49 and include breakfast, lunch, drinks at the happy hour, and an insane amount of serverless knowledge from an amazing lineup of speakers. Please spread the word to your friends and colleagues. James Beswick joins a webinar with Stackery on February 27th to teach you how to Save time and money with AWS Lambda using asynchronous programming. If you want to know How to Accelerate Serverless Adoption, sign up for this webinar on March 7th with Shannon Hogue from Epsagon and Avner Braverman from Binaris. Should be interesting. If you want more from Epsagon, you can also sign up for the Best Practices to Monitor and Troubleshoot Serverless Application webinar on March 7th as well. The AWS Serverless Webinar: Unleash Innovation & Enable Legacy (Four-Part Session) is scheduled for Thursday, March 21st. AWS’s Steve Liedig will be joined by new AWS Community Hero, Aileen Smith, and others, for what’s sure to be a very educational series of sessions. A Cloud Guru announced that Serverlessconf 2019 will be held from October 7th through the 9th in New York City. Definitely looking forward to this. There certainly is a learning curve for serverless, and even those of us with a lot of experience tend to scratch our heads now and again. In Dear deployment diary: serverless is f**king hard, the author points out the challenges that larger companies face when the line between developer and operations become blurred. On the subject of serverless not always being easy, Pavol Fulop gives us some Takeaways from using AppSync, which entails a lot of struggles. It’s always interesting to hear where people are getting stuck. For those of you that have been putting off building that side project, here’s another example of how a developer created a MVP in 1 week for $10 while working a full-time job. It’s not the most complex app, but it goes to show how quickly serverless can get you up and running. Benedikt Eckhard’s piece, My First Alexa Skill — Lessons Learnt, is an in-depth look at how he went about designing, building, deploying, and testing an Alexa skill. Some really good lessons in here. Jeff Lu explains how his team took a serverless approach to Weather Underground in order to generate Intellicast radar maps. And, Things about serverless I wish I used from the start by Antonio Terreno is a quick hit list of some simple tips that can save you quite a bit of time. Simon-Pierre Gingras published a very helpful AWS S3 Batch Operations: Beginner’s Guide for us to start thinking about all the amazing things we’ll be able to do with this. S3 Batch is still in preview mode, but when it goes GA with Lambda support, the possibilities will be endless. Jerry Hargrove (aka @awsgeek) has some new visual notes on Amazon Transcribe. As more and more people move to audio and video on the web, I think they’ll find this to be an incredibly handy service. If you’re curious how Jerry Hargrove keeps producing these amazing pieces of content, check out his How I Create Visual Notes at awsgeek.com — My Step-by-Step Process. And if you like visual things, the newly released AWS Architecture Icons are available for download. Finally, If you need your weekly dose of snark, check out Corey Quinn’s guest appearance on What’s New with AWS – Week of February 11, 2019 with Jeff Barr. Nothing serverless in here, but always good to see AWS having a little fun. Alex Casalboni’s new post, Design patterns for high-volume, time-series data in Amazon DynamoDB, is a great example of how breaking with best practices sometimes creates a better solution. Beyond just this use case, there are likely several other practical reasons to auto-provision DynamoDB tables. Nikolay Nemshilov has a fascinating read on building a Serverless Genetic Algorithm. Genetic algorithms are an extremely powerful problem solving mechanism and Nikolay demonstrates a quick and dirty solution using parallelization with Lambda functions. Scott Ringwelski from Handshake has a post that explores Serverless Use Cases At Startups. I think he offers a fresh perspective on how mid-size startups could take advantage of serverless and how implementing odd jobs and internal automation might be a great place to start. Lambda@Edge: Why Less is More is a good introduction to get you thinking about how powerful computing at the edge can be. There are a lot of use case around this concept, and Nuatu Tseggai from Stackery, points out a whole bunch. Why serverless is revolutionary for product managers by James Beswick is 20 years of software development wisdom wrapped up into a 9 minute read. There is so much to unpack here, I think you just need to read it yourself. John Demian from the Dashbird is Getting down and dirty with metric-based alerting for AWS Lambda in his new post. There are some helpful definitions in this post that explain the metrics captured by CloudWatch as well as how to set up alarms. There’s also a nice chart that shows you how observability platforms like Dashbird can extend the basic metrics and search capabilities of CloudWatch. Making AppSync Easier with Thundra gives some more insight into how observability platforms can make monitoring and debugging your serverless applications so much easier. Using Lambda as an AppSync datasource is obviously incredibly powerful, but as this piece points out, debugging it can get a bit tricky. Nader Dabit had some thoughts on the new Serverless paper from the folks over at Berkeley. Cloud Programming Simplified: Simplified points out a few key points from the paper and offers some of Nader’s thoughts. Mikhail Shilkov’s new Evergreen Serverless Performance Reviews has taken his fantastic posts and made them even better. He’s now tracking the performance of serverless functions from various cloud providers and has automated them so they’re always up-to-date. Alex DeBrie has another excellent post entitled, AWS API Performance Comparison: Serverless vs. Containers vs. API Gateway integration. Which one should you use for your workload? It depends, but Alex has some recommendations for you. In Chaos test your Lambda functions with Thundra, Yan Cui shows us how to use an observability platform to inject errors into our serverless application and then trace them to make sure the proper fallbacks are in place. Great advice and an excellent use of these third-party tools. How to Use AWS Lambda to Send High Volume Emails at Scale outlines a serverless architecture that could give you some ideas of your own. Definitely a useful pattern if you want to own your own mass email generation. Serverless Functions in Depth is a great tutorial for front-end developers looking to get started with serverless. I think using Amplify CLI will resonate with devs familiar with some common build tools. For something a bit more advanced, this tutorial will show you how to create A predictive engine API deployment with AWS and serverless in minutes. Building a Serverless Mixpanel Alternative. Part 1: Collecting and Displaying Events is the first part of a tutorial series on building an analytical web application with Cube.js. Lots of useful concepts in here. How to build a serverless web crawler, another great post by James Beswick, will take you through several different ways to build a classic web crawler using combinations of Lambda, DynamoDB streams, SQS queues, S3 and more. This week’s star is Ant Stanley (@IamStan). Ant was recently named an AWS Serverless Hero, and for good reason. When he’s not consulting, he’s running the Serverless User Group in London, organizing ServerlessDays London, and helping organizer around the world as part of the global ServerlessDays leadership team. He was also a co-founder of A Cloud Guru and organized the first ServerlessConf event back in 2016. I think he’s done more to spread the word of serverless than anyone else. His blog and Twitter account are also great sources for serverless insights. I can’t thank you all enough for being a part of this newsletter. I can’t believe it’s already been six months since we started this! I try each week to capture and disseminate important and interesting stories and announcements, but I could always use more help. If there are great stories that need to be heard, or interesting use cases, or people who you feel deserve to be the star of the week, please send them to me. This newsletter is as much yours as it is mine. Last week we looked at how we could use serverless to deal with third-party API quotas, watched some helpful videos, and introduced “Serverless Stories.” This week, we geek out on a recent UC Berkeley paper about serverless, share some more great stories and use cases, and discuss how SaaS providers should be thinking about serverless integrations. If you’re interested in the details, I highly suggest reading the entire paper as it gives both a realistic look at the current limitations, but also points out how they could be (and most likely will be) solved. I wrote a recent post called Stop Calling Everything Serverless that pointed out (similar to this paper) that cloud providers monitored how their customers used virtual machines and built additional services to make those use cases better, faster, and easier. The same is true for serverless environments, with the ecosystem and available suite of services getting better each day. The paper points out other important advantages that serverless has over (what they call) serverful architectures, and helps to clarify how modern FaaS implementations are superior to previous generations. It also notes that container technologies, like Kubernetes, are “a technology that simplifies serverful computing” and that the economies of cloud scale will eventually “diminish the importance of such hybrid applications.” This is noteworthy as we start to look at computing at the edge, and how that will affect application design. And while there are obviously still limitations, the paper suggests advancements such as faster ephemeral and durable storage, lower startup times, and better coordination between functions, will eventually solve current system challenges. The paper also suggested introducing access to more cores, sharing of computation graphs, and collocation of functions to solve some of the networking problems and throughput issues. The bottomline is that the cloud business is growing by 50% year-over-year, and 24% of serverless users are using the cloud for the first time. Serverless adoption is only going to grow, and as limitations get innovated out of existence, the need for serverful computing and the underutilization associated with it, are going to become less relevant. The paper doesn’t give a suggested timeline, but Forbes has some 2019 Serverless Computing Predictions. Epsagon announced One-Click Serverless Monitoring, which lets you instrument your Lambdas functions without any configuration changes. This is the perfect use case for Lambda Layers, and it looks like they are monitoring updates to configurations, which will ensure that the layer is added on every deployment. Enforcing monitoring compliance without developers having to do anything is a huge advancement. Dashbird announced their new incident management platform, a new component that lets you set alert conditions based on Lambda metrics. Reducing notification fatigue is a helpful way to make sure real issues are identified and addressed quickly. You can read about it in their public changelog (which I just realized they had). They also announced that they are now an AWS Advanced Technology Partner, which is pretty cool. A new article, Lumigo: End-to-End Serverless Monitoring and Troubleshooting, gives a great overview of Erez Berkner and Aviad Mor’s new serverless observability company. There are several providers in this space now, but they’re all trying to do things a little differently. A helpful video is included with the article that shows how Lumigo deals with transaction reporting. Hillel Solow makes the case for serverless, but points out several Serverless Computing Security Risks & Challenges. But who’s responsible for securing your serverless applications? Hillel suggests that we make it everyone’s problem by creating closer relationships with other teams in your organization. In Serverless Computing: ‘Function’ vs. ‘Infrastructure’ as-a-Service, Ory Segal does a great job calculating the drop in security responsibilities when moving to FaaS solutions. Not all the requirements are created equal, but this is a fairly good estimate. I’d much rather be responsible for less than half of the security components versus the roughly 92% required using the IaaS approach. Ed Moyle discusses the security implications of serverless cloud computing with a particular focus on CloudFlare Workers. While segmentation attacks and Rowhammer concerns are certainly valid in a containerized world, I think most cloud providers have a pretty good handle on this. Puresec did some ethical hacking and took down a newsletter’s Lambda-backed signup form. Serverless Security And The Weakest Link (Or How Not to Get Nuked by App-DoS) documents how they did it (and graciously points out that it was not Off-by-none 😉). While Puresec did a good job anonymizing the victim, he was proud to take ownership (hint: it rhymes with “Maury Schwinn”). Even though this was a bit of fun, the community working together like this is a great way to learn and make our applications safer. It was only a matter of time before McAfee jumped into the serverless security realm. The Exploit Model of Serverless Cloud Applications is a high-level overview of possible threats to your serverless applications. This picture looks scarier than the reality. Key thing to remember is that the cloud provider is handling the vast majority of network and infrastructure security for you. TLDR; Use best practices to write secure apps, scan your dependencies, and protect your secrets. Do this and your serverless applications will likely be more secure than traditional ones. IOpipe is hosting a Stories of serverless in the wild with Saks Fifth Avenue at the Serverless Seattle Meetup on February 22, 2019. Always fun to hear real world problems being solved by serverless. Stackery also has a webinar coming up tomorrow entitled New serverless workflows, build faster than ever before. Great opportunity to brush up on your (or learn some) infrastructure-as-code skills. Also, don’t forget that the Serverless Architecture conference in The Hague, Netherlands is being held from April 8th to the 10th. I’m actually giving two talks now, so that should be a lot of fun. There are plenty of great speakers, so be sure to get your tickets soon. How We Moved Towards Serverless Architecture highlights the struggles that a team encounters when transitioning to serverless. 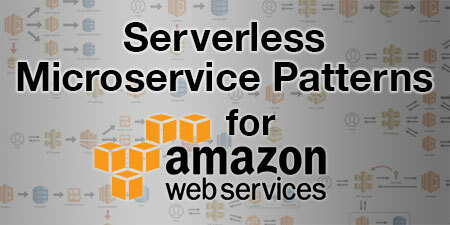 Pravash Raj Upreti reviews the technologies his team used, some advantages and disadvantages of using serverless, and the choices they made in order to launch their first serverless application. In Serverless Event Sourcing in AWS (Lambda, DynamoDB, SQS), Dom Kriskovic explains the serverless architecture used to build Beenion. He uses the CQRS pattern along with DynamoDB to capture and distribute events. I don’t agree with all of the choices, but this article does a great job exposing the tough decisions that need to be made. Serverless GitLab Runner Builds on Lambda gives a developer’s account of experimenting with using Lambda to executed GitLab builds, inherit IAM permissions, and use additional binaries and its dependencies to execute things like terraform during the build. There some Lambda Layer experiments in there as well. Antonio Terreno tells us about the Startup Pre-series A tech choices you can’t compromise on. Great story about a small company using serverless to build and iterate quickly. Now they have a team of 20 people. While the Berkeley paper argued that certain machine learning tasks might be too much for serverless right now, Michael Hart and the team over at Bustle has news for them. In Massively Parallel Hyperparameter Optimization on AWS Lambda, they explain how they used the concepts from the Asynchronous Successive Halving Algorithm paper and applied them to text-classification with Lambda. This is a really great read and an amazing use case. Renato Byrro from Dashbird discusses Building a Serverless News Articles Monitor that can be used to extract article data in a structured format. They also made it open source for you to use. Generating thumbnails is a common use case given for serverless, but what about generating complex PDFs? Marc Mathijssen came up with a way to do this using the power of Apache FOP in a .NET world using Azure Functions. Nader Dabit takes us through Building Chatt – A Real-time Multi-user GraphQL Chat App in his recent post. The code is also open source, so not only is this a good use case, but also a helpful template to get you started with serverless. Alex DeBrie put together the Complete Guide to Custom Authorizers with AWS Lambda and API Gateway for you, and it is an awesome resource. Anyone who has played around with custom authorizers is sure to have some of their own war stories, so having this as a reference could be a lifesaver (metaphorically speaking). Gojko Adzic introduces us to BaDaaS and the future of cloud integration. He explains that there is a new pattern called “Business action deployment as a service” (or BaDaaS), that allows service providers to offer application components that interact directly with FaaS services instead of passing data through webhooks. Twilio is already doing it, and last week we mentioned Braintree’s serverless payment functions initiative. Pay attention SaaS providers, a new standard might be emerging. The New Stack’s How Serverless Platforms Could Power an Event-Driven AI Pipeline is another take on how to bring machine learning into the serverless world. It rightly suggests that “event-driven artificial intelligence (AI) can lead to faster and smarter decisions” and will take a “hybrid architecture structure that takes the best of serverless and combines it with stateful database stores” in order for it to be applied successfully. Obviously we need a database to store training data, but I think we’ll see more serverless alternatives to this sooner rather than later. If you’d rather not read, you can watch Marcia Villalba talking about Serverless with Ben Kehoe. Another insightful interview featuring someone definitely worth listening to. Finally, Cory Schimmoeller says that Using AWS Amplify feels like cheating, and he may be right. This is a good overview of how simple it is to use Amplify and the CLI to connect to your AWS backends. Have no fear, Toby Fee from Stackery takes you through the Anatomy of a Serverless App. This post explains the three layers of a serverless application (business logic, building blocks, and workflow dependencies) and acts as a great primer for the newly initiated. Serverless Computing 101 is another overview of what serverless computing is, how it works with other resources (or BaaS), and highlights some use cases. Not all the “demerits” are created equally, but certainly gives you something to think about. Yan Cui gives us the lowdown on AWS Lambda and Secret Management in a recent post. Should you choose Parameter Store, Secrets Manager, or HashiCorp’s Vault? Yan walks you through the when, why and how. Many people associate the terms “machine learning” and “artificial intelligence” with lots of math and complexity that make them seem unapproachable. But the reality is that powerful ML and AI services are readily available and easy to integrate with your applications. James Beswick show us how to build a serverless Twitter bot using sentiment analysis so that you can automatically like positive comments on your tweets. And it’s much easier to do that you probably think. Optimizing your Node.js lambdas with Webpack and Tree shaking is a great post by Erez Rokah that shows you how to use Webpack to remove unused modules when packaging your Node.js files for deployment to a serverless environment. He gives an example of reducing his deployment package from 740.6kB to 6.6kB. If you’re using the .NET runtime, it might be helpful to know How to Unwrap an AggregateException Thrown by AWS Lambda. Zac Charles shares the secret of setting the right environment variable. He also shared how to make .NET AWS Lambda Functions Start 10x Faster using LambdaNative, a handy Lambda Layer that you can use. If you’re working with Azure, David Pallmann has a full tutorial on how to build a Document Search Engine using Azure Functions and Cosmos DB. Julian Tellez from DAZN gives us some tips for Handling complexity in lambda functions using his Lambcycle middleware component for AWS Lambda. If you still haven’t played around with Lambda Layers yet, Eric Johnson’s Working with AWS Lambda and Lambda Layers in AWS SAM post is an awesome overview to get you started (or take you even further down the rabbit hole). And why not combine the power of WebSockets, Machine Learning, and Translation services to build a better chat application? Danilo Pocci gave a recent presentation called Serverless real-time apps: Let’s build a “positive” chat that does just this. The architecture is all in the slides, plus you can check out the demo here. Finally, if you are building Large (Java) Applications on Apache OpenWhisk, James Thomas has some very helpful tips and tricks for you. Keeping up with AWS announcements is a full-time job in itself, never mind figuring out when CloudFormation adds support for a new feature. AWS CloudFormation: 2018 in review documents all the new features added to CloudFormation in 2018. And if you really want to stay current with new information, their release history page is always up-to-date. Speaking of CloudFormation support, you can now Automate WebSocket API Creation in Amazon API Gateway Using AWS CloudFormation. Expect support in other serverless frameworks to be added soon. Amazon SNS Message Filtering Adds Support for Multiple String Values in Blacklist Matching, which is actually much more exciting than it seems. Filtering messages at the broker level dramatically simplifies (and reduces costs for) pub/sub implementations. Having the ability to add several items to the blacklist is a very handy feature. I’m not a .NET guy, so I didn’t even know there wasn’t support for this already. In any case, AWS X-Ray SDK for .NET Core is Now Generally Available, so good news for those utilizing that runtime. This week’s star is Aleksandar Simovic (@simalexan). Aleksander is the co-author of Serverless applications with Node.js, a core team member for Claudia.js, and an AWS Serverless Hero. He has done a tremendous amount of work on Jarvis, an Alexa skill that allows you to create serverless applications using only voice commands, which is pretty cool. He also has 20 applications published to the Serverless Application Repository that you can use to get started with serverless quickly. Aleksandar continues to make valuable contributions to the serverless community, and we’re all lucky to have him! There are so many amazing things happening with serverless right now, and this recent Berkeley paper is so incredibly encouraging. There is certainly a place for containers and servers right now, but it’s important to remember that today’s limitations are tomorrow’s opportunities, and the cloud providers all see the writing on the wall. Expect more and more advancements that address these limitations, and soon, serverless will in fact become, the default computing paradigm. I hope you enjoyed this issue of Off-by-none. I love hearing feedback and suggestions so I can keep making this newsletter better each week. Feel free to contact me via Twitter, LinkedIn, Facebook, or email and let me know your thoughts, criticisms, or how you’d like to contribute to Off-by-none. And don’t forget to share this newsletter with your friends and coworkers who are interested in serverless. I’d really appreciate it. Last week we reminisced about 2018 and laid out some plans for the new year. This week we’ll sort through all the serverless content that people created over the holiday break. Plus we look at some serverless use cases, share some upcoming webinars, and give you links to plenty of great talks to keep you busy for awhile. We’ve got a lot to get to today, but before we jump in, I wanted to share that Lambda API v0.10 was released. Lambda API is a lightweight web framework for your serverless applications. It’s open source, fast, free, and now supports seamless integration with ALBs. v0.10 also added support for multi-value headers and query string parameters, plus new method-based middleware and much more. I’d love for you to check it out and send me feedback. ServerlessDays Milan 2018 released videos of all the talks from their event in October of last year. Lots of really great talks in here from Yan Cui, Ian Massingham, Danilo Poccia, and many more. Serverless Computing London has also released some additional videos including Mikhail Shilkov’s Performance Tales of Serverless, Nate Taggart’s Rethinking Testing For Serverless, and Guy Podjarny’s Serverless Security: What’s Left To Protect? Heitor Lessa announced that the second season of Build on Serverless is going to be about “Building a Serverless Airline App from scratch + leading practices applied.” This is a fun (and educational) thing to watch. You can (and should) RSVP on Twitch. Also, Marcia Villalba released the first video in her Serverless Interviews series which just so happens to feature yours truly. So if you want to see me ramble on about serverless for 15 minutes while admiring the view of the Mirage in the background, this video is for you. The team over at Protego created a Damn Vulnerable Serverless Application and donated it to OWASP so that you can learn what not to do when building serverless application. You can read more about it here. Now we have this AND the Serverless GOAT project that PureSec donated last month. These are both great resources to see how easily serverless vulnerabilities can be exploited and what to do to protect your application. Injecting Chaos to AWS Lambda functions using Lambda Layers by Adrian Hornsby, introduces us to a great use case for Layers. Werner said it best, “Everything fails all the time.” Using Chaos Engineering to test the resiliency of your distributed cloud applications is a great way to ensure that when things do fail, that your application will handle those issues gracefully and minimize the blast radius. Gojko Adzic and his team created some public layers so you can now use FFmpeg, SOX, Pandoc and RSVG with your AWS Lambda projects. One more thing you don’t have worry about. And if you want to take a Deep Dive Into Lambda Layers and the Lambda Runtime API, sign up for this webinar hosted by Chris Munns, Principal Developer Advocate at AWS. It’s scheduled for January 31, 2019 at 2pm ET. Speaking of DynamoDB, Forrest Brazeal from Trek10 spent his holiday break resurrecting the Northwind database from the annals of MS Access and teaches us how to convert it to NoSQL. From relational DB to single DynamoDB table: a step-by-step exploration is a great guide that shows us both the pros and cons of attempting to move relational workflows to DynamoDB. If you’re thinking about moving to NoSQL, please take a few minutes to read this. AWS announced the Amazon API Gateway Service Level Agreement, which may have you scratching your head thinking, don’t all AWS services have SLAs? Just ask Scott Piper from SummitRoute. He put together an AWS Service Support table that shows just how few AWS services actually have them. Something for the 2019 #AWSwishlist. The AWS Toolkit for Visual Studio Code project seems to be coming along nicely as well. Whether you just want to try it out, or contribute in some way, it’s pretty cool to see AWS developing more things like this out in the open. They also keep making strides with Nested Applications. If you’d like to learn more, there is a Nested Applications: Accelerate Serverless Development Using AWS SAM and the AWS Serverless Application Repository webinar scheduled for January 31, 2019. It’s hosted by James Hood, Sr. Software Dev Engineer at AWS, so you know it’s going to be good. I love finding people that are applying serverless to new and interesting use cases. Whether they are solving complex workflows, or just a simple function that accomplishes a single task that makes your life easier, seeing the broad application of serverless is quite fascinating. Here are a few I found this week. Building a serverless data analytics pipeline by Rodrigo Reis shows us a simple, but effective way to capture a stream of web events. They use an SQS queue and reserved concurrency to help throttle requests to their Elasticsearch cluster, which is both simple, and a great approach at their stage. They’re also smartly using IOpipe for observability. Blog URL to PDF to Amazon Kindle by Dhaval Nagar outlines a simple app for automatically sending blog posts to a Kindle. There are probably multiple ways that this type of workflow could be used. Serverless Function to Sync Data from a Database to Google Spreadsheet is another simple workflow that would be perfect for marketing teams, sales, or your billing department. No need to build interfaces for reporting data when there are already tools that people are familiar with. If you want to get a bit more complex, check out How to build a React chat app with AWS API Gateway WebSockets, Custom Lambda Authorizer. Lots to chew on here, but if you’re heading down the WebSockets path, this is a good resource for you. Save time and money with AWS Lambda using asynchronous programming by James Beswick provides some great tips for handling synchronous calls in your serverless functions. Also be sure that you Don’t overpay when waiting on remote API calls either. Mike Vizard predicts the Battle Over Serverless Computing Frameworks to Heat Up in 2019. There is a lot of discussion in this piece about other companies (read: NOT AWS) embracing Knative and other open source “serverless” middleware to power their FaaS solutions. I think this goes to show how popular serverless is becoming and the thrashing that’s going on to catch up with AWS. I’m not sure this is going to play out the way these companies think it will. There’s a new serverless framework called BAM! I haven’t used it yet, but let’s just add this to the list. Jerry Hargrove continues to create more Cloud Diagrams & Notes for our viewing pleasure. His AWS Lambda and Aurora Serverless ones are awesome. Yan Cui shows us how to perform Error Handling in AWS Lambda With Wrappers. He talks about the need for middleware in our serverless applications and how we can use it to capture errors and help us debug our systems. Speaking of debugging, Hamit Burak Emre over at Thundra shows us how to Debug Your Python Functions Locally. Step-by-step debugging in Lambda functions with breakpoints? Yes, please. This week’s star is Farrah Campbell (@FarrahC32). Farrah is the Ecosystems Manager at Stackery, a visual tool for building serverless applications. Farrah has become another positive voice in the serverless community, helping to organize ServerlessDays Portland and other workshops, and an ever present figure at conferences helping to spread the serverless word. She was also recently featured as a Serverless Superhero in How serverless is breaking down barriers in tech. Diversity in tech has always been a challenge, so it’s great to have people like Farrah as part of the serverless community working to make it more inclusive. Week #1 of 2019 is in the books, and if this is any indication, it is going to be a banner year for the serverless community! There has already been a ton of great serverless content so far, plus Paul Johnston pointed out that there are EIGHT ServerlessDays conferences between now and April 11th. One of which is Boston, so be sure to buy your tickets soon! I know I’m excited. Last week we looked at the new WebSocket support for API Gateway, saw some more serverless love from startups, and I argued that we should Stop Calling Everything Serverless! This week we’re going to reflect back on 2018, I’ll share my 2019 plans for Off-by-none, and we’ve got plenty of great stories from the community. 2018 was quite a busy year. Being the CTO of a startup certainly keeps my to-do list full, plus I consulted for several additional companies in the serverless space. However, my passion for creating, writing and helping out others (or at least trying to) is too powerful a force to keep contained. Even though I have been blogging for quite some time, last year was when I started writing almost exclusively about serverless. I also spent time working on some open source projects and thinking about new ones I’d like to create. I thought it would be a proper exercise to look back at all the things I worked on last year, reflect on what was helpful, and then plan to do more of that in 2019. 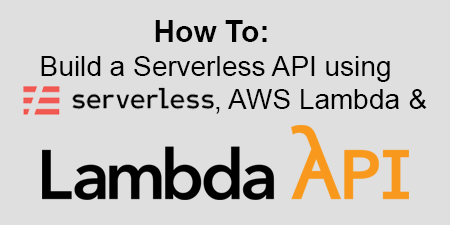 In January, I launched the first stable version of Lambda API and then wrote How To Build a Serverless API with Serverless, AWS Lambda and Lambda API. 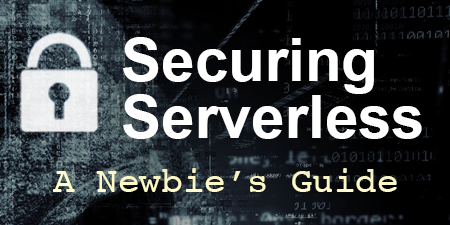 Soon thereafter, I created Securing Serverless: A Newbie’s Guide to capture some serverless security best practices for those just starting out. Then I shared some tips on How To: Manage RDS Connections from AWS Lambda Serverless Functions as well as How To: Stub “.promise()” in AWS-SDK Node.js. I weighed in on Solving the Cold Start Problem and proposed some additional solutions with How To: Optimize the Serverless Optimizer Plugin. I also came up with a list of 10 Things You Need To Know When Building Serverless Applications. I did some more security research and wrote about Event Injection: A New Serverless Attack Vector and then shared 5 Reasons Why Your Serverless Application Might Be A Security Risk. I ran some experiments using Serverless Consumers with Lambda and SQS Triggers as soon as AWS announced support. I also started to share serverless microservice concepts and published Mixing VPC and Non-VPC Lambda Functions for Higher Performing Microservices. In July, I met Chris Munns for the first time and wrote 15 Key Takeaways from the Serverless Talk at AWS Startup Day. This gave me more insight into the cold start issue, so I created the open source package, Lambda Warmer, so you could Optimize AWS Lambda Function Cold Starts. I then shared some thoughts on Thinking Serverless (Big and Small) and why serverless is great for workloads of all sizes. I put together a guide on How To: Add Test Coverage to your Serverless Applications, and then wrote a fictional story called A Tale of Two Teams, about two startups that made vastly different technology choices (serverless versus containers). It was fun to write and there was a lot of interesting feedback. Next up was Aurora Serverless: The Good, the Bad and the Scalable, an in-depth look at AWS’s new “serverless” MySQL database offering. In August I published Serverless Microservice Patterns for AWS, which is a really handy resource. It eventually made its way to #7 on Hacker News and crashed my site. FYI: WordPress does not scale. Speaking of scaling, I created a solution for Managing MySQL at Serverless Scale with the open source serverless-mysql NPM package. I’ve been using it in production ever since. In September I launched Off-by-none! It’s been quite a bit of work, but all of your feedback has been incredibly encouraging (more on this later). I then shared a piece called Serverless Security: Locking Down Your Apps with FunctionShield, and wrote up An Introduction to Serverless Microservices. In What 15 Minute Lambda Functions Tells Us About the Future of Serverless, I shared some thoughts about AWS’s new execution limits and why it’s an important step forward. I also shared some Takeaways from ServerlessNYC 2018, took a first look at the Aurora Serverless Data API, and then spent a week in Las Vegas for AWS re:Invent. My re:Capping re:Invent: AWS goes all-in on Serverless post explains why AWS is lightyears ahead of other providers in the serverless space. I also shared a serverless tip so you Don’t overpay when waiting on remote API calls, and I finished up the year with my Stop Calling Everything Serverless rant. I’m exhausted just thinking about all that, but at the same time, I’m super excited for 2019. I received a tremendous amount of constructive feedback, met some really amazing people, and learned a ton in the processes. I’ve got plenty of content planned for this year, most of which will be highly practical so that you can apply the concepts straight away. I’m also working on a course or two, plus some other creative ways to talk about and explore serverless applications and the methodology used to build them. I’m hoping you’ll find all of this useful. When I first launched Off-by-none, it was a bit of an experiment. I wanted to create a sort of “un-newsletter”, something that was more interactive than just some links to recent articles, blog posts, and handy tools. Don’t get me wrong, I love getting my weekly newsletters, and there are plenty of good ones to choose from, but I still think we can do something even bigger and more helpful. Don’t worry, I’m still going to write the weekly newsletter, but in the next couple of weeks, Off-by-none will be launching its own site. This new site will host archives, resources, and plenty of additional ways for the community to interact, contribute, and help steer the conversation. I’m really excited about this and the possibilities it creates. I still believe that Off-by-none is about working together to build better cloud-based products, so I’m hoping this new site will open it up to a bigger audience and help to expand the serverless community. Gal Bashan over at Epsagon wrote The Hitchhiker’s Guide to Serverless. Earlier this year we talked quite a bit about the serverless echo-chamber and how foreign some of these concepts are to those that are new to serverless. Gal outlines a number of key components that make up serverless applications and explains what they are and when to use them. Getting started with AWS Lambda Layers for Python is a new post from Adrian Hornsby that lays out the basics for harnessing the power of Lambda Layers. Lots of really good stuff in here. I also came across Contemporary Views on Serverless and Implications by Subbu Allamaraju the other day. Subbu is an engineer with Expedia and wrote this really interesting piece about the differing views of serverless and the conflicting nature of the term. Another piece that shows just how much further we have to go to bring serverless to the masses. Syed Jaffry, a solutions architect at Amazon Web Services, wrote a really great article regarding Best practices for securing sensitive data in AWS data stores. When we’re building serverless applications (or any application in the cloud), understanding how to keep sensitive data secure is extremely important. This piece gives you an overview of some general security patterns that you can use. Definitely worth the read. This week’s star is Erik Peterson (@silvexis). Erik is the Founder and CEO of CloudZero (@cloudzeroinc), a startup that helps you monitor your cloud computing costs. Erik has been building on AWS for over a decade, he’s a frequent speaker at conferences and meetups, and is a regular contributor to the CloudZero blog. He’s a big proponent of #FinDevOps, which is all about leveraging cost as a first class metric when designing serverless systems. Serverless applications generally have a lower TCO than most traditional applications, so it’s good to have people like Erik think through how cost affects our organizations up and down the value chain. I plan on producing lots of serverless content this year, plus I’m co-organizing ServerlessDays Boston on March 12, 2019, and I hope to do some speaking as well. I look forward to spending 2019 with all of you! I hope you’ve enjoyed this issue of Off-by-none. Your feedback and suggestions are always helpful, so please feel free to reach out to me via Twitter, LinkedIn, Facebook, or email and let me know your thoughts, criticisms, and ideas for making Off-by-none even better. Last week we looked at Lambda Layers and custom runtimes. This week we’re going to talk about when we should worry about optimizations, plus highlight some recent discussions about the term “serverless” and what that actually means. We’ve also got some interesting articles, several product announcements, and (somehow) more stuff from re:Invent. Mark Schwartz published an article on the AWS Cloud Strategy Blog entitled: Micro-Optimization: Activity-Based Costing for Digital Services? In it he outlines the fact that we can now meter individual units of compute to analyze costs. Simon Wardley (and others, including me) have been talking about capital flow for quite some time. Erik Peterson over at CloudZero uses the term FinDevOps to described it. But knowing your costs is different than trying to prematurely optimize them. I wrote a post last week about the potential to overpay when waiting on remote API calls. This was a micro-optimization, and for my use case and company, it made sense. However, there are two slippery slopes that this type of fine-grained metering can introduce. The first is to tie your costs directly to customer pricing. Some services make sense to use metered billing, but don’t let this level of cost granularity influence the value your service provides to customers. Second, is premature optimization. Compared to building and maintaining your own systems, cloud computing is ridiculously inexpensive, especially when you’re starting out and haven’t achieved significant scale. Don’t waste your developers’ time trying to shave off nickels and dimes from your bill. Focus on creating more value by delivering and iterating on features faster and worry about cost optimizations later. Choosing serverless, however, is a MACRO optimization. I have some thoughts on that. You’re not alone. Ben Kehoe called serverless a spectrum at one point, CloudZero wrote a post about it. AWS calls it an operational construct. Simon Wardley has his definition. Jeff Hollan wasn’t happy with the mischaracterizations in this paper that argues that current serverless offerings are “a bad fit for cloud innovation.” And Paul Johnston says that teaching people to do serverless is hard because it’s not about technology, but culture. I have plenty of my own thoughts on this as well, but one thing is for sure, this debate won’t be settled any time soon. Regardless of the exact definition, I believe many of us “know it when we see it” and are starting to embrace the benefits it brings. And if you’re looking for some of those benefits, Zack Kanter makes the business case for serverless in his new post on TechCrunch. Ory Segal published some Security Considerations for AWS Lambda Runtime API and Layers. AWS does a lot to protect you and your application from security issues, opening up custom runtimes, while a good thing, means more to consider from a security standpoint. Read this post to get an idea of some of these new risks. Serverless Latency has been a common objection amongst the anti-serverless crowd for quite some time. Tim Bray dives deep into this and gives us some things to think about regarding state hydration, database considerations, and how we should really be thinking/talking about latency in our applications. Yan Cui (AKA The Burning Monk), talks about Holistic Problem Solving using serverless. Yan just wrapped up his Production Ready Serverless course, which is a favorite among many of us in the serverless community. Serverless, Inc. announced the release of the Serverless Framework v1.35. Good news for you Ruby folks, plus support for cross-region CloudFormation outputs and a bunch of bug fixes. AWS announced that Amazon SQS now Supports Amazon VPC Endpoints using AWS PrivateLink. It’s a pain to need NATs just to connect to some AWS services, so for bunkered apps, this removes another external call to the Internet. AWS also announced support for nested applications for AWS SAM and the AWS Serverless Application Repository. Nested applications were announced at re:Invent, but now that AWS SAM supports them, I’m guessing we’ll see some interesting use cases emerging. Easier reusability in our serverless applications is a big deal. If you really want to geek out, there’s a post on How to use the new Amazon DynamoDB key diagnostics library to visualize and understand your application’s traffic patterns. Not sure I would spend a lot of time with this one, but it’s nice to know it’s there if you need it. Beyond some of these bigger announcements, there were also quite a few Invisible Improvements made by AWS. Alex DeBrie broke them all down for us in his new post. It seems that no matter how many hours you’ve spent watching re:Invent videos and reading recaps, there’s always more to discover. There’s another post here that lists several great talks, and here are two more that I really enjoyed. Linda Lian talks about how Amazon thinks about serverless. It’s explained as an operational construct, rather than an architectural model or a way to think about packaging and deploying code. Christopher Dixon from Comcast then shows us how Xfinity used serverless to integrate Netflix streaming into their set top boxes. Pretty cool stuff. The more popular “serverless” gets, the more people try to overload the term and subscribe it to everything. I’m a firm believer that serverless is not a buzzword, and that it means something very specific, even if the definition continues to be blurred by marketing departments. If I thought this was just an argument about semantics, then I’d probably let it go. But I think there is more to it than just that, and that the distinction will become important. More thoughts to come on this. I hope you’ve enjoyed this issue of Off-by-none. All of your feedback and suggestions are incredibly helpful, so please keep them coming. Reach out to me via Twitter, LinkedIn, Facebook, or email and let me know your thoughts, criticisms, and ideas for making Off-by-none better. Our serverless applications become a lot more interesting when they interact with third-party APIs like Twilio, SendGrid, Twitter, MailChimp, Stripe, IBM Watson and others. Most of these APIs respond relatively quickly (within a few hundred milliseconds or so), allowing us to include them in the execution of synchronous workflows (like our own API calls). Sometimes we run these calls asynchronously as background tasks completely disconnected from any type of front end user experience. Regardless how they’re executed, the Lambda functions calling them need to stay running while they wait for a response. Unfortunately, Step Functions don’t have a way to create HTTP requests and wait for a response. And even if they did, you’d at least have to pay for the cost of the transition, which can get a bit expensive at scale. This may not seem like a big deal on the surface, but depending on your memory configuration, the cost can really start to add up. In this post we’ll look at the impact of memory configuration on the performance of remote API calls, run a cost analysis, and explore ways to optimize our Lambda functions to minimize cost and execution time when dealing with third-party APIs. Last week I spent six incredibly exhausting days in Las Vegas at the AWS re:Invent conference. More than 50,000 developers, partners, customers, and cloud enthusiasts came together to experience this annual event that continues to grow year after year. This was my first time attending, and while I wasn’t quite sure what to expect, I left with not just the feeling that I got my money’s worth, but that AWS is doing everything in their power to help customers like me succeed. There have already been some really good wrap-up posts about the event. Take a look at James Beswick’s What I learned from AWS re:Invent 2018, Paul Swail’s What new use cases do the re:Invent 2018 serverless announcements open up?, and All the Serverless announcements at re:Invent 2018 from the Serverless, Inc. blog. There’s a lot of good analysis in these posts, so rather than simply rehash everything, I figured I touch on a few of the announcements that I think really matter. We’ll get to that in a minute, but first I want to point out a few things about Amazon Web Services that I learned this past week.